The Toronto-Waterloo corridor ranks as one of the world’s top 20 startup ecosystems thanks in part to leading computer science and engineering research at the University of Toronto and the University of Waterloo, a recent Silicon Valley think tank report says. The report, released earlier this month by Oakland, Calif.-based Startup Genome, surveys several different sectors of startup activity, from artificial intelligence to consumer electronics, and takes a “deep dive” into more than 40 startup hubs around the globe. In the case of the Toronto-Waterloo corridor, the authors say the region “attracted international attention for its AI ecosystem” last year, noting Uber’s decision to start a Toronto research lab and the launch of the Vector Institute for Artificial Intelligence. The annual report, which did not rank the clusters this year, considers the corridor’s other key strengths to be health and life sciences, fintech and advanced manufacturing. “The University of Toronto is proud to play a role in contributing to the growing success of the Toronto-Waterloo innovation corridor,” says Derek Newton, U of T’s assistant vice-president of innovation, partnerships and entrepreneurship. While the Startup Genome report looks at several individual Canadian cities, it considers Toronto and Waterloo to be a single ecosystem that benefits from research taking place at 16 different universities and colleges in the region – notably U of T and Waterloo – and Toronto’s status as a major financial centre. 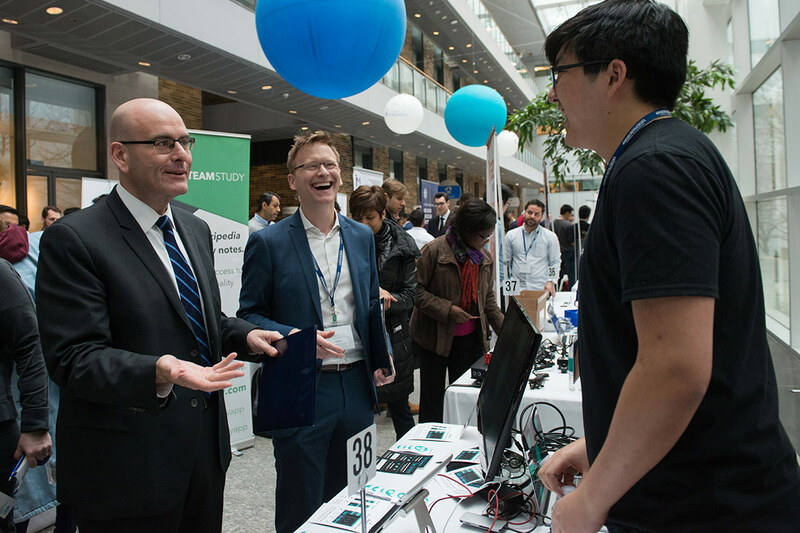 U of T alone boasts nine startup incubators and accelerators, including the Creative Destruction Lab at the Rotman School of Management, and has partnerships with nearby research hospitals and the MaRS Discovery District, among others. When it comes to AI, the report notes the US$13 million in funding raised by U of T startup Deep Genomics, which uses machine learning to create genetic therapies, and TD Bank’s purchase of Layer 6, a startup built by U of T alumni that uses AI technologies to help businesses better anticipate their customers’ needs. On the health front, the report points to “more than 30 medical and related sciences research facilities” in Toronto’s Discovery District, as well as more than 450 ventures that raised a combined US$300 million last year. The Toronto-Waterloo corridor is also home to more than 500 fintech ventures, according to the report, and has seen its large traditional manufacturing sector transformed into one increasingly based on advanced technologies.